The process of filing for divorce in St. Petersburg can be a painful and lengthy one. Even couples who agree to separate may end up in a sour battle over money and especially the children. Regardless of whether you and your spouse have a pre-nuptial agreement or not, complications can easily arise during the divorce proceedings. For this reason, it is in your best interest to work with a quality divorce lawyer in Tampa, Florida before trying to tackle to process on your own. The Law Office of Legally Modern Law Group, LLC of St. Petersburg is committed to providing you with expert legal advice and unparalleled support. 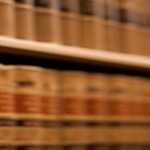 Among many areas of expertise, Legally Modern Law Group, LLC focuses on Marital and Family Law. Family Law is an area of law that deals specifically with family related issues, including divorce, child custody, adoption, legal guardianship, child support, alimony as well as many other factors. In order to ensure the best outcome for your case, it is crucial to work with an experienced Tampa divorce attorney. Without a knowledgeable attorney, you may end up losing money and valuable assets, however, when you work with Legally Modern Law Group, LLC Divorce Lawyers of St. Petersburg you can rest assured that your case is handled with the utmost care. Legally Modern Law Group, LLC focuses on your individual needs and goals, representing you with the utmost professionalism and devotion. Legally Modern Law Group will commit fully to your case and work around the clock to ensure the timely resolution to your divorce. Legally Modern Law Group, LLC will handle the completion of all legal paperwork, will represent you in court, and above all, will ensure that you walk away from the divorce with your rightful benefits, property and assets. Legally Modern Law Group, LLC are child support law experts, and will see to it that your children’s needs are met completely. Since children, especially young children, can be greatly affected by a divorce, it is crucial to always ensure their well-being. Legally Modern Law Group, LLC will make suggestions and offer advice, always having your children’s best interest in mind. For quality and affordable legal assistance with Marital and Family Law cases, contact the offices of Legally Modern Law Group, LLC today.